The photo is unfocused and grainy but it captures the relationship between Chloe and Sean so clearly. 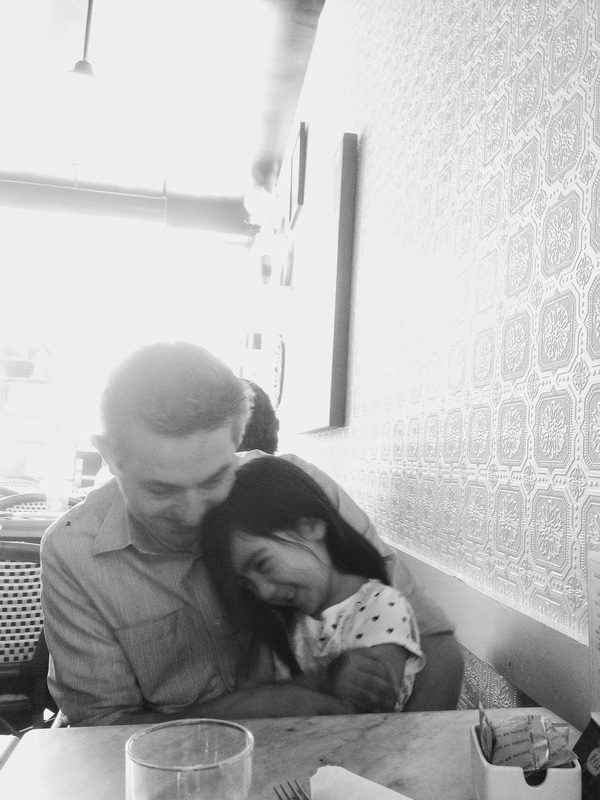 He can make her laugh like no other and really is the dad I wished for her. We are both so lucky to have him. Sean and I got to enjoy kid-free time together last week at the Spun Studio fundraising event. Sad but true, blog-related events count as date night around here. We joke that if I didn't have a blog, we wouldn't have a social life, ha! 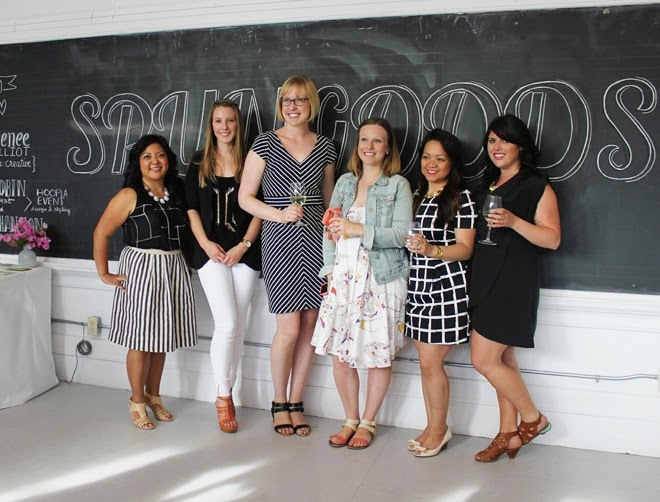 We were so excited to come out and support a good cause and see what the ladies of Spun Studio did with the ideas of the blogger design team. To say I was blown away was an understatement. I may have come up with the designs but the fabric sourcing, weave pattern selection, and manufacturing really made my rugs come to life. 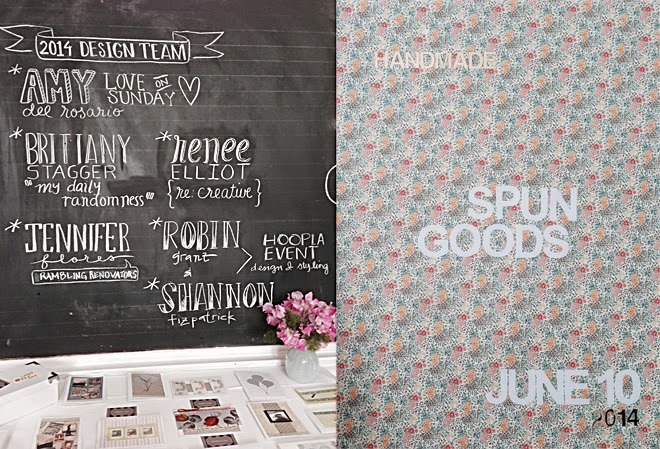 The women of Spun Studio are not professional sewers or weavers but they did such an incredible job. 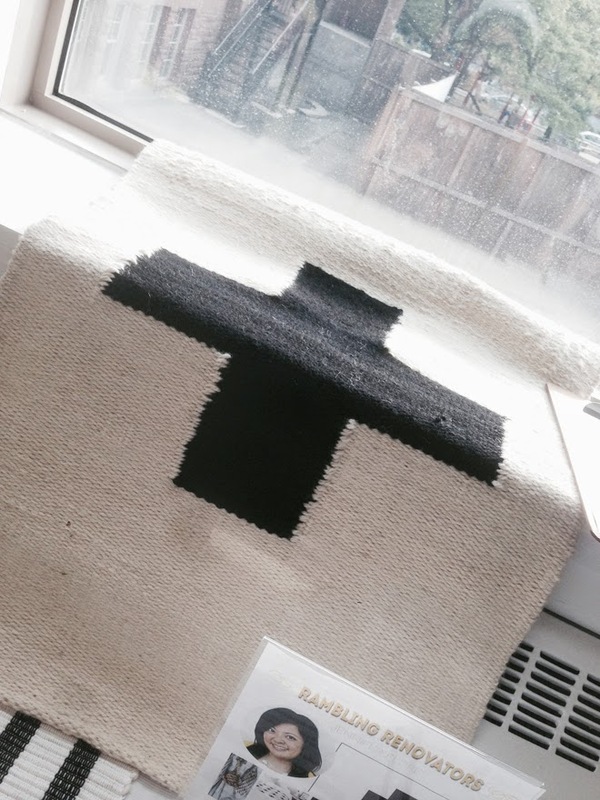 The wool swiss cross rug was just how I envisioned it: chunky, textured, and graphic. It had a rustic vibe and would look great in a winter cabin. 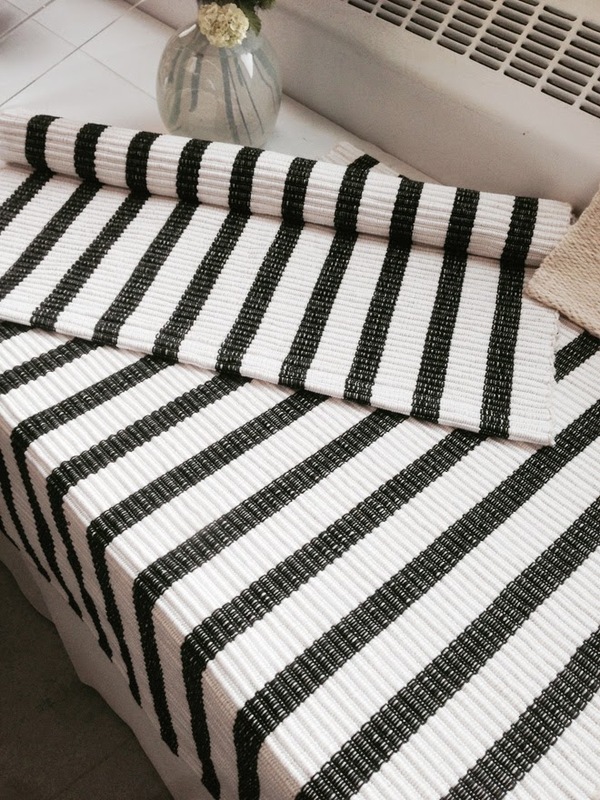 The cotton stripe rugs stole my heart - I wanted to take one home with me! They're the kind of rug that you want to rub your bare feet all over. Gah, I love the ribbing. 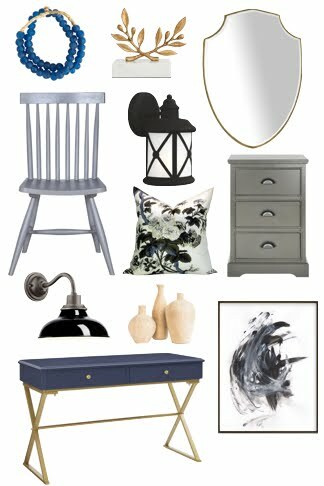 The work the studio did with the other blogger designs was equally impressive. 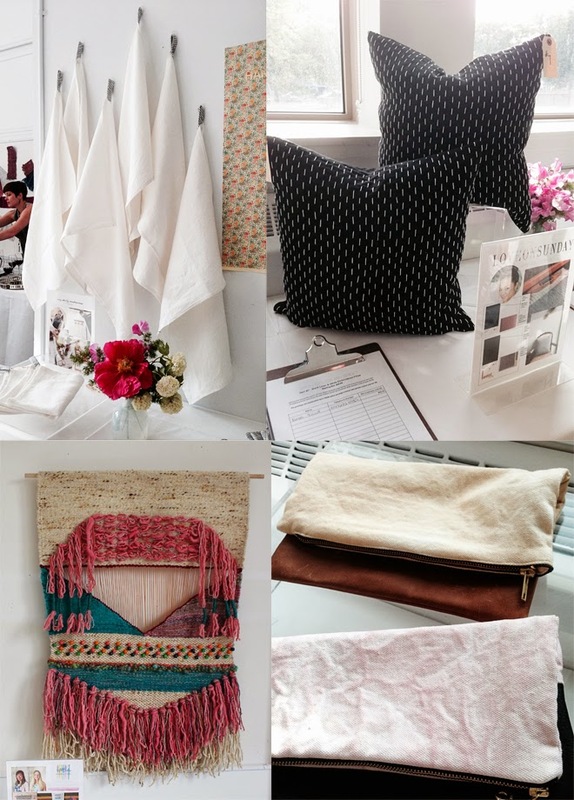 Brittany's tea towels, Amy's pillows, Robin and Shannon's wall hanging, and Renee's leather and vegetable-dyed fabric clutches were all so beautiful. 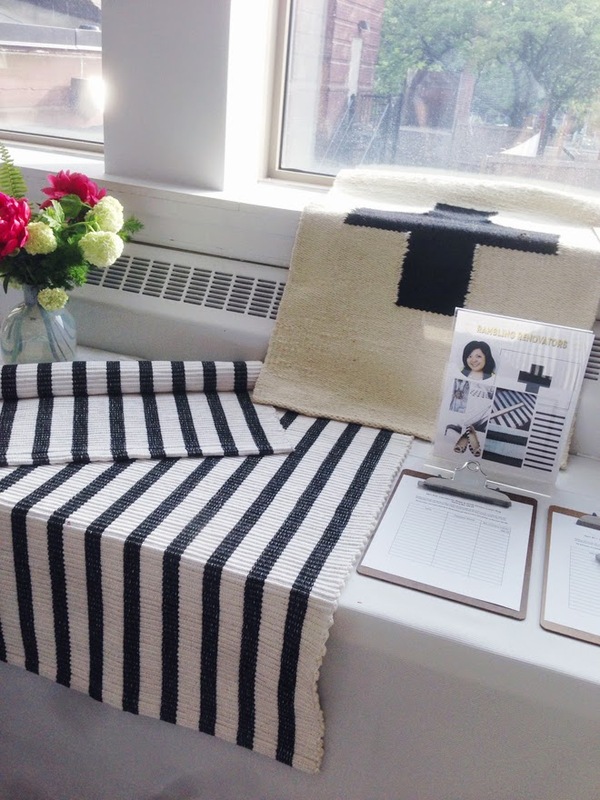 I loved that each of the products were distinctly different and spoke to each blogger's aesthetic. Me, Brittany, Lindsey of Spun Studio, Shannon, Amy, Renee. Photo courtesy of Brittany Stager. Speaking of aesthetic, our outfits matched our designs! I swear we didn't coordinate our black and white ensembles. A special thanks to Lindsey Thomsen who did a fantastic job coming up with the idea and putting the event together. 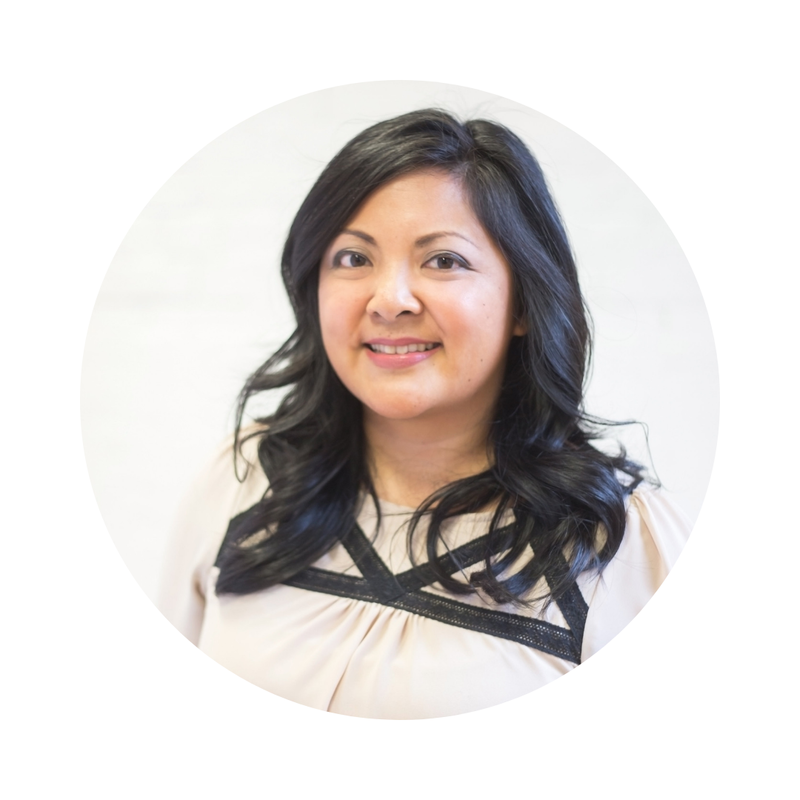 I was honoured that she had faith that we bloggers could help her organization in a positive and significant way. Many thanks as well to sponsors Gemini Fibres for my rug fabrics and Santa Margherita wine who provided their Pinot Grigio for us to enjoy that evening. Spun Studio does custom orders so if you have a rug, a tea towel, or a pillow design in you, then can help bring your one of a kind handmade creations to life. How awesome is that.